Helen Osborne is a long-time health literacy consultant, speaker, and writer. For many years, her interest in technology has been purely on a need-to-know basis. She had never been what anyone would consider an early adopter” of new gizmos and gadgets. That is, until Helen learned about podcasting. Adam Weiss is, in many ways, at the other end of the spectrum. As a podcast consultant, media producer, and independent digital media strategist, he has long been interested in and savvy about the latest technology. Adam patiently teaches Helen everything she needs to know about podcasting. 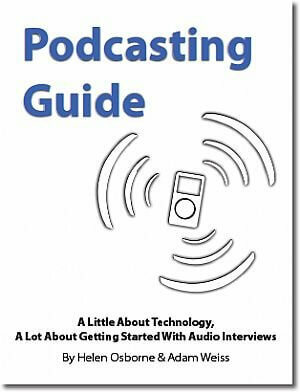 Podcasting: Is it right for you? Technology: What do you need?